Author of Mindfulness & Grief, thanatologist, and past Entrepreneur of the Year for Frederick County, Maryland, Heather Stang inspires her audience to optimize their personal and work life with mindfulness, yoga and self-reflection. 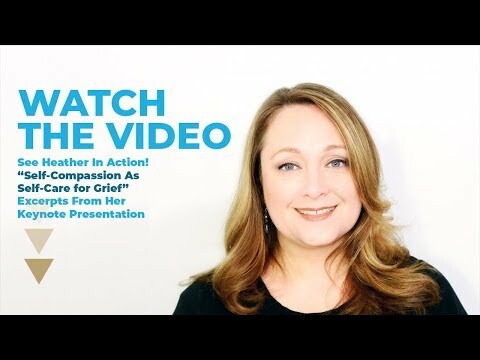 This video includes a sample from "Self-Compassion as Self-Care for Grief," a keynote speech by Heather Stang offered to bereaved families at the Gilchrist Hospice in Baltimore, MD. Also includes testimonials from clients.